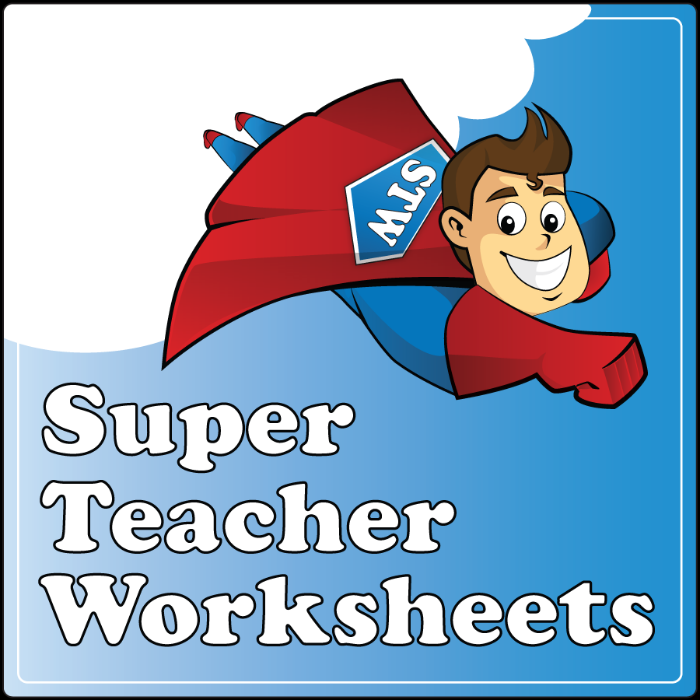 I have been a subscriber to Super Teacher Worksheets since the beginning of our homeschool journey many years ago. It is the only worksheet subscription site I have ever renewed on an annual basis. 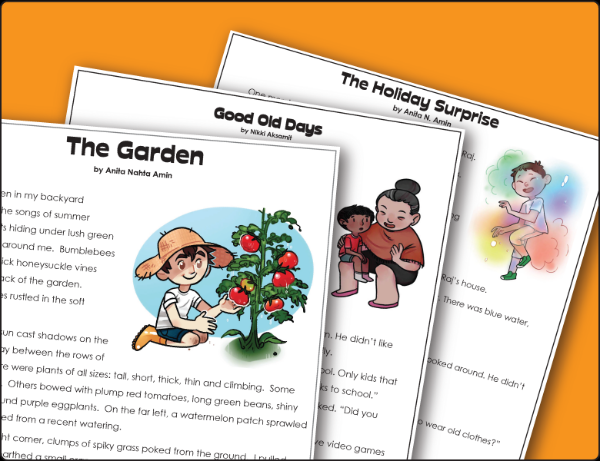 Super Teacher Worksheets is a great membership site that has hundreds and hundreds of worksheets that cover topics such as reading comprehension, math, social studies, science, language arts, and even teacher helpers such as certificates! For this review, we were blessed with a 1 year Individual Membership. They do have a number of free samples on the site, so please check it out for yourself! And that's just the front page! What we LOVE about Super Teacher Worksheets Well....we love EVERYTHING! Honestly, I use worksheets from this site on a daily basis. My son's portfolio are full of them each year! 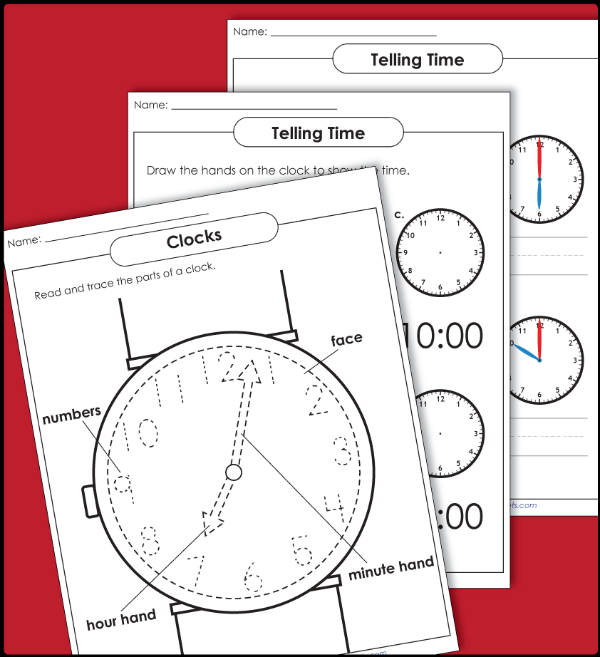 The worksheets are well designed, and look great in addition to the educational benefits. The answer sheets are the same as the worksheets, with the answers in red. Each worksheet comes in a PDF format for easy printing, and you can choose to print all or some of the pages. I rarely print the answer sheets, so I like the option of printing as I need. 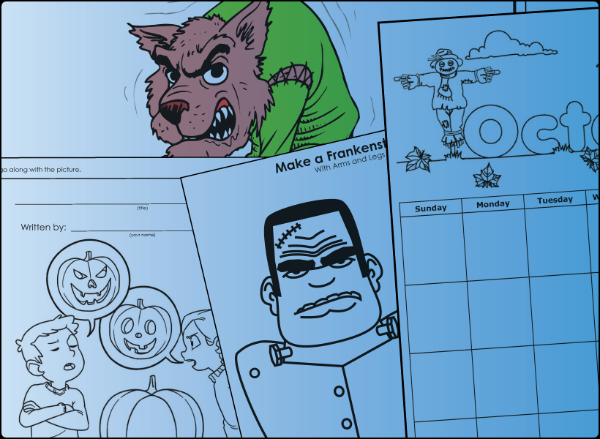 Super Teacher Worksheets has a great assortment of holiday or seasonal choices, as well. I love that I can choose holiday specific work to make our homeschool day more fun! The calendars are really nice! I admit to printing them, and coloring them myself! The worksheets are geared mainly for Pre-k/K to Grade 5. I would LOVE to see more Grade 6+ work on there, especially since Mr. B is in 5th this year. So I'd like to take this opportunity to say, PLEASE SUPER TEACHER WORKSHEETS!!!!! Can we PLEASE have more 6th grade+ work? Sorry...I had to! We also really like the graphics that are included on the worksheets. 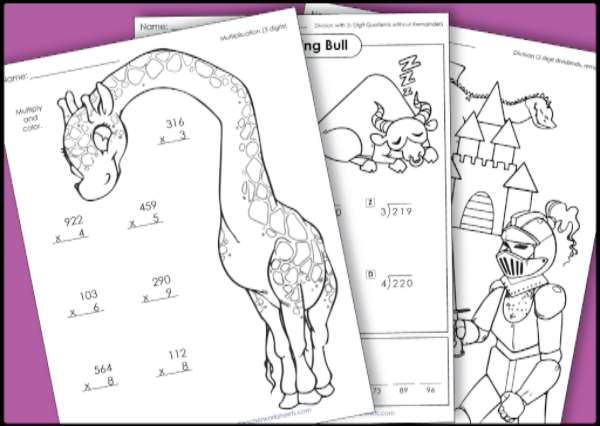 These are a lot of fun to color and make our normal worksheets look like works of art when we are finished! 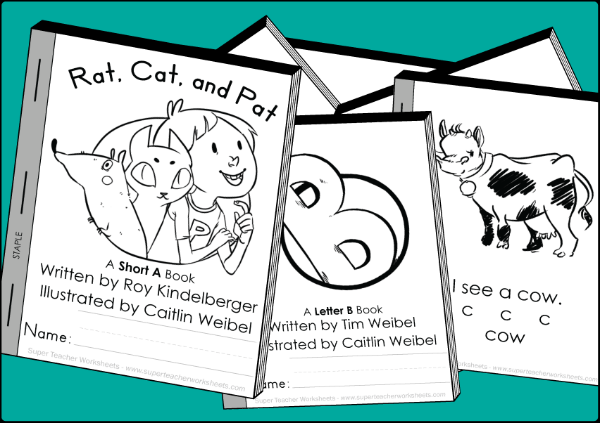 These little booklets are really fun, especially for the younger kids. We used these a LOT during the younger grades! These are probably my favorites of Super Teacher Worksheets. The Reading Comprehension, or any of the social studies/science articles. You can choose fiction or non-fiction, even biographies. They increase in difficulty through the grades, and include writing and vocabulary practice also. I could write a novel shouting the praises of Super Teacher Worksheets. they are by far one of my most favorite homeschool vendors. I only wish they would add more new content at a higher grade level! I know 6th-8th+ plus would be a huge hit, and I'd keep on renewing my membership every year! Overall, I've been a loyal Super Teacher Worksheets subscriber for years, and I have been because they truly deliver a fantastic product at a great price. My only suggestion would be more history worksheets to cover things like Middle Ages, Ancient Civilizations, Modern History, etc. AND a higher grade level. If they add content for grades beyond what they have now I will continue to be a loyal subscriber for years to come! Does Super Teacher Worksheets Pass My 4 Ingredient Test? You are 100% in control! Print as you like, whatever you like, when you like! There are NO hidden fees, and the value is incredible! Your membership lasts for 1 year, and you have access to the FULL site for that year. That means every grade level. This is one reason I have always been a loyal Super Teacher Worksheets subscriber. Everything we've ever used has been attention grabbing and varied enough to ADHD and Autism. I love that I can tailor it to fit us, and we can take breaks as needed. It is really a great bang for your buck. 4.) Does it tie into other things we already have? There are so many various topics, I can't see how it couldn't tie in. Worksheets for grades 6 and up.... we're working on it! Reading for 6th Grade - If you check the "Animal Articles," you'll find many passages at a 6th grade level. We also have some reading comprehension on our "Middle School Reading Comp" page too. Math for 6th Grade - In the past year, we've added some more advanced topics, like: integers (positive and negative numbers), calculating surface area, tessellations, area of triangles and circles, dividing fractions, and many other math topics. Grammar for 6th Grade - We've added some newer, more advanced topics, such as: verbals, prepositional phrases, diagramming sentences, and active/passive voice. We're slowly growing into the middle grades, but there are only a few of us here, so it does take a little time. Thank you for the suggestion! Keep watching for more new additions this year. GASP! I hadn't made it over to animal articles yet! There's so many wonderful things to explore! Thank you for letting me know about all of these 6th grade goodies! I can't wait to go check them out later today!!!!! We have been using your site since the beginning of our homeschool journey. It has been the one thing that has stood the test of time with us, and is a main staple! Thanks again! Thank YOU for using our website for so long! So glad it is a helpful tool for your family. If you ever need specific topics (for 6th grade or other grades), let me know. We have an ongoing "request list" in our office. Sometimes it takes us a little while, but we try to fulfill as many reqests as we can.